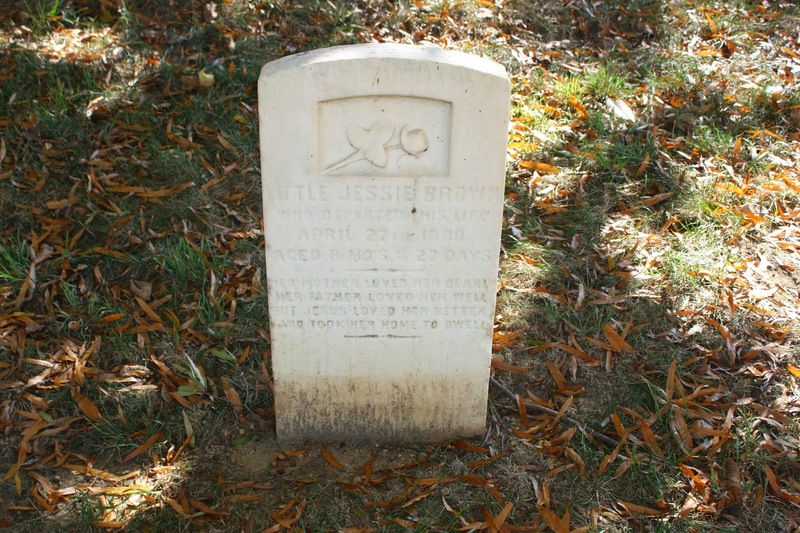 These are the tombstones for two children, “Little Charlie Brown” and “Little Jessie Brown.” Both were the children of Supt. 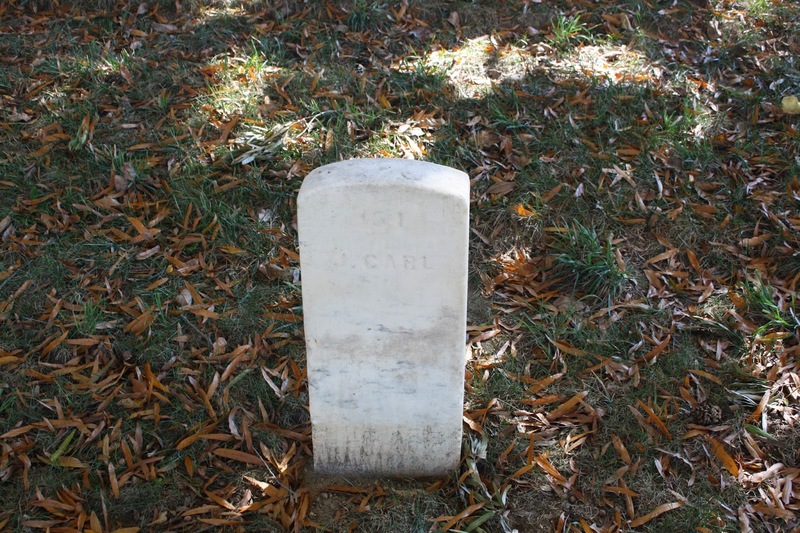 T.J. Brown according to the U.S. National Cemetery Interment and Control Forms collection. 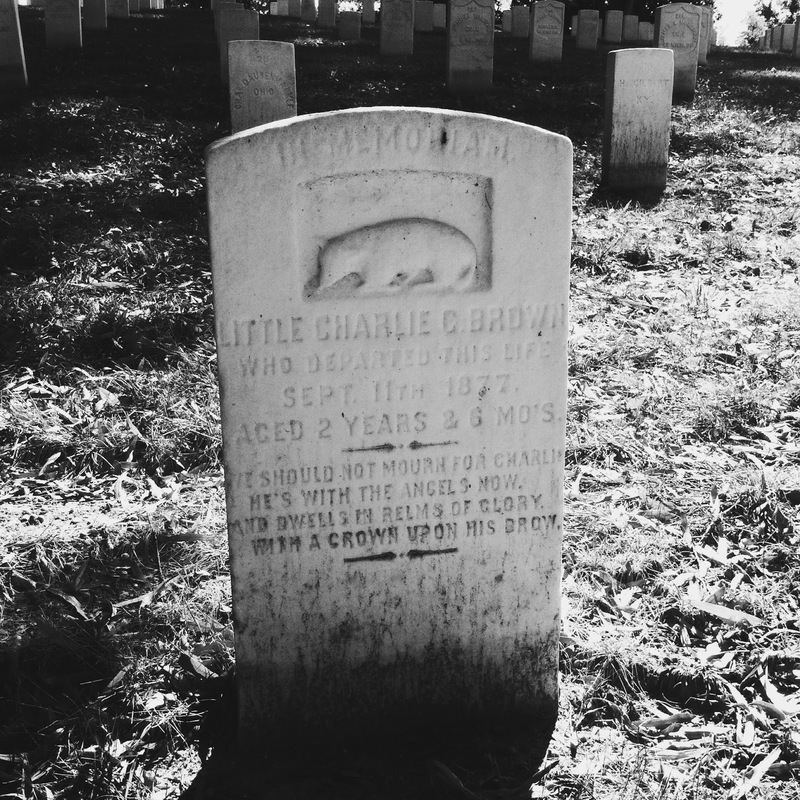 I haven’t been able to find out anything definitive about T.J. Brown, but I believe he was a cemetery employee.